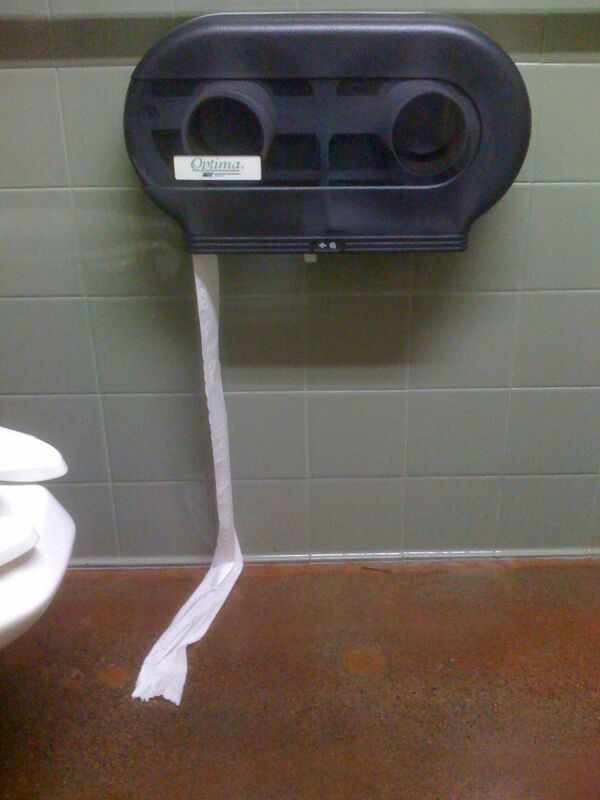 Quick question: When was the last time you successfully tore toilet paper on the serrated edge in a public restroom? Never in my life has a toilet paper dispenser actually functioned as I believe it should. It makes me wonder what they are doing at the companies that manufacture these bathroom frustrations. Do they not have the budget for product testing? Do they assume everyone is going to tear by hand anyways? Or have they just stopped caring? Seriously guys, get your act together. No more excuses. Previous Post What The Hell Happened Last Week?